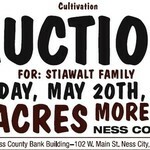 Due to the Weather, we have a small change in plans for tomorrows Brungardt Auction. Smaller Personal Property- We have moved in some of the household goods & small hand tools to the VFW in Victoria. 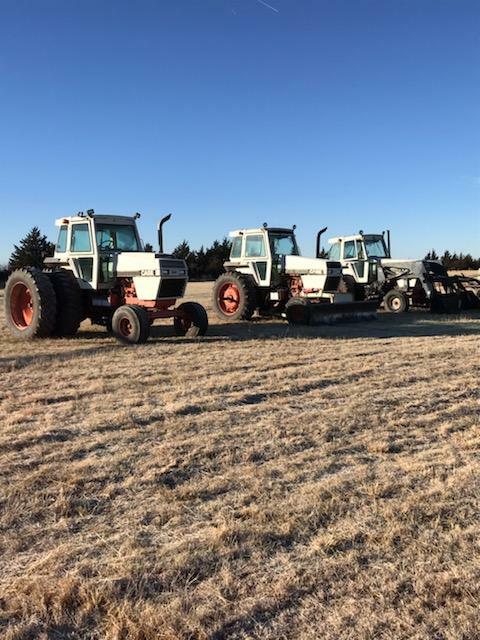 Please prepare for the personal property to begin around 12:30pm & then move to the Farmstead around 3pm/4pm for the larger equipment & vehicles. 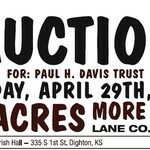 Real Estate Auction Location: VFW- 204 E Main St, Victoria, KS 67671 @ 10:00 A.M. 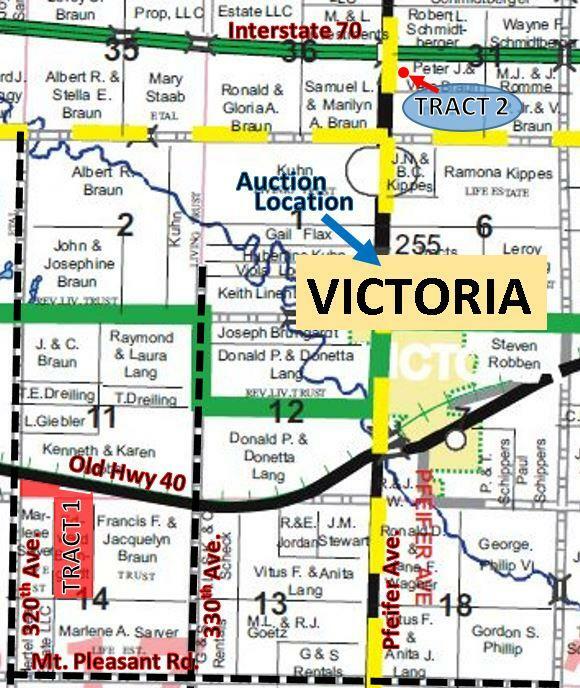 Personal Property Auction Location: Farmstead-2348 Hwy 40, Victoria, KS 67671 @ 1:00 P.M.
From the intersection of Old Hwy 40 and Pfeifer Ave. in Victoria, KS, go 1 ½ Miles West on Old Hwy 40 to the North East Corner of the property. 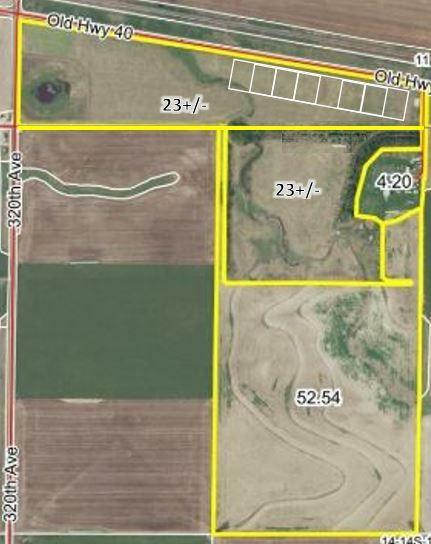 This nice tract offers good productive soil types, as well as an older home and farmstead. There is an excellent shelterbelt providing wind protection from all directions. You will just love the access of this farm having Hwy 40 frontage and the farmstead is located a convenient distance south of the blacktop. 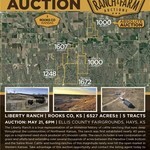 This farm provides all the benefits of rural living with a ten minute drive to Hays & 5 minutes to Victoria. Water and septic system report completed by Ellis County Environmental Office with the results of the water & septic system being adequate for living. Property will be sold as is where is with no further inspections being provided. Any additional survey to establish boundary lines will also be the responsibility of the purchaser. All sellers interest to be conveyed, subject to a prior reversionary mineral reservation. Purchaser to stay in compliance with all US Government programs the property is currently enrolled in. Government payments to follow current F.S.A. guidelines. This approx. 1.5 nice acre tract located on the south side of I-70, Exit 168 at Victoria, KS, offers a wide variety of opportunity for potential development. Property is being purchased as is where is with any inspections being the purchaser’s responsibility. Seller to pay 2018 and prior taxes. Purchaser to pay 2019 and future taxes. Tract I 2018 taxes were $890.54, Tract II 2018 taxes were $305.20. Upon closing with sellers reserving the rights of ingress and egress to remove personal property until March 1st, 2019. 10% Down day of sale, balance to be paid upon title approval and delivery of deed, said closing to be on or before, February 19th, 2019 or as soon as title requirements, if any, can be corrected. Sale is not contingent on purchaser obtaining financing. 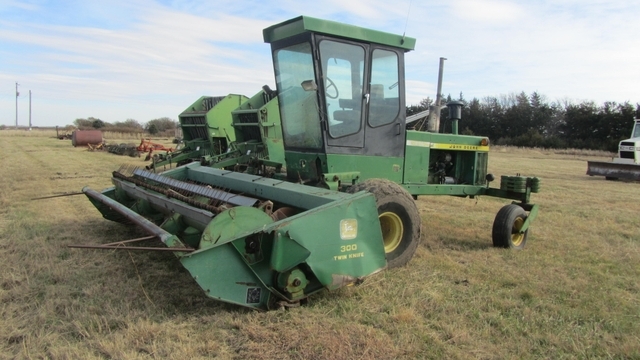 Financing, if necessary, needs to be approved prior to the auction. The seller agrees to convey said property by a good and sufficient deed to the purchaser, subject to easements, restrictions, roads, right-of-ways, leases, reservations and county zoning regulations of record. Said deed shall be delivered to the purchaser at the time of settlement. Seller(s) to furnish title insurance showing merchantable title in Seller with the cost of the title insurance to be split equally between the Purchaser and the Seller. Please see our website for more pictures and information. 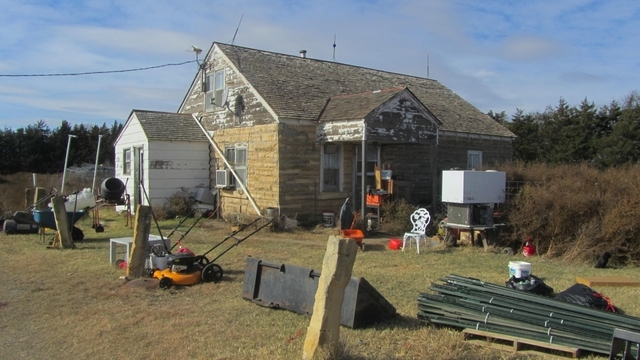 Due to health reasons, the Brungardt Family is offering to you the opportunity to purchase a nicely located farmstead with an established shelterbelt, a nice line of farm equipment, as well as several unique antique items.